A cat's eye is a retroreflective safety device used in road marking and was the first of a range of raised pavement markers. A raised pavement marker is a safety device used on roads. These devices are usually made with plastic, ceramic, thermoplastic paint, glass or occasionally metal, and come in a variety of shapes and colors. Raised reflective markers, such as plastic, ceramic, metal ones, include a lens or sheeting that enhances their visibility by retroreflecting automotive headlights, while glass road studs gather automotive headlights with a dome shape and reflect the lights with a reflective layer within. Some other names for specific types of raised pavement markers include convex vibration lines, Botts' dots, delineators, cat's eyes, road studs, or road turtles. Sometimes they are simply referred to as "reflectors". The cat's eye design originated in the UK in 1934 and is today used all over the world. The original form consisted of two pairs of reflective glass spheres set into a white rubber dome, mounted in a cast-iron housing. This is the kind that marks the centre of the road, with one pair of cat's eyes showing in each direction. A single-ended form has become widely used in other colours at road margins and as lane dividers. Cat's eyes are particularly valuable in fog and are largely resistant to damage from snow ploughs. 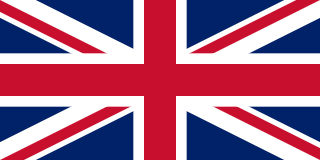 The United Kingdom, officially the United Kingdom of Great Britain and Northern Ireland but more commonly known as the UK or Britain, is a sovereign country lying off the north-western coast of the European mainland. The United Kingdom includes the island of Great Britain, the north-eastern part of the island of Ireland and many smaller islands. Northern Ireland is the only part of the United Kingdom that shares a land border with another sovereign state, the Republic of Ireland. Apart from this land border, the United Kingdom is surrounded by the Atlantic Ocean, with the North Sea to the east, the English Channel to the south and the Celtic Sea to the south-west, giving it the 12th-longest coastline in the world. The Irish Sea lies between Great Britain and Ireland. With an area of 242,500 square kilometres (93,600 sq mi), the United Kingdom is the 78th-largest sovereign state in the world. It is also the 22nd-most populous country, with an estimated 66.0 million inhabitants in 2017. A retroreflector is a device or surface that reflects radiation back to its source with a minimum of scattering. In a retroreflector the wavefront of the radiation is reflected straight back to the wave's source. This works at a wide range of angle of incidence, unlike a planar mirror, which does this only if the mirror is exactly perpendicular to the wave front, having a zero angle of incidence. Being directed, the retroflector's reflection is brighter than that of a diffuse reflector. Corner reflectors and cat eye reflectors are the most used kinds. A snowplow is a device intended for mounting on a vehicle, used for removing snow and ice from outdoor surfaces, typically those serving transportation purposes. Although this term is often used to refer to vehicles mounting such devices, more accurately they are known as winter service vehicles, especially in areas that regularly receive large amounts of snow every year, or in specific environments such as airfields. In other cases, pickup trucks and front end loaders are outfitted with attachments to fulfill this purpose. Some regions that do not frequently see snow may use graders to remove compacted snow and ice off the streets. Snowplows can also be mounted on rail cars or locomotives to clear railway tracks. A key feature of the cat's eye is the flexible rubber dome which is occasionally deformed by the passage of traffic. A fixed rubber wiper cleans the surface of the reflectors as they sink below the surface of the road (the base tends to hold water after a shower of rain, making this process even more efficient). The rubber dome is protected from impact damage by metal 'kerbs' – which also give tactile and audible feedback for wandering drivers. Percy Shaw, OBE was an English inventor and businessman. He patented the reflective road stud or "cat's eye" in 1934, and set up a company to manufacture his invention in 1935. Boothtown is a suburb of Halifax, West Yorkshire, England. The blackouts of World War II (1939–1945) and the shuttered car headlights then in use demonstrated the value of Shaw's invention and helped popularise their mass use in the UK. After the war, they received firm backing from a Ministry of Transport committee led by James Callaghan and Sir Arthur Young. Eventually, their use spread all over the world. The Department for Transport (DfT) is the government department responsible for the English transport network and a limited number of transport matters in Scotland, Wales and Northern Ireland that have not been devolved. The department is run by the Secretary of State for Transport, currently Chris Grayling. The Aérospatiale/BAC Concorde is a French-British turbojet-powered supersonic passenger airliner that was operated from 1976 until 2003. It had a maximum speed over twice the speed of sound at Mach 2.04, with seating for 92 to 128 passengers. First flown in 1969, Concorde entered service in 1976 and continued flying for the next 27 years. It is one of only two supersonic transports to have been operated commercially; the other is the Soviet-built Tupolev Tu-144, which operated in service from 1977 to 1978. White cat's eyes are used for the centre of a road on many roads which lack street lighting but are subject to high speeds or high volumes of traffic. They are also used for lane markings, soft traffic islands and on "double white lines" where no overtaking is permitted. Red cat's eyes are placed along the hard shoulder of motorways, dual carriageways, as well as the shoulders of major A- and B-class roads (often former trunk roads). Amber cat's eyes are placed along the edge of the central reservation (median). Green cat's eyes denote joining or leaving slip roads at junctions, or the entrances and exits of lay-bys (rest stops). Blue cat's eyes are used almost exclusively for emergency vehicle lay-bys and slip roads, such as the roadside ramps police cars use on Motorways to monitor traffic. A traffic island is a solid or painted object in a road that channels traffic. It can also be a narrow strip of island between roads that intersect at an acute angle. If the island uses road markings only, without raised kerbs or other physical obstructions, it is called a painted island or ghost island. Traffic islands can be used to reduce the speed of cars driving through, or to provide a central refuge to pedestrians crossing the road. These units are not very visible in daylight and are generally used in conjunction with traditionally painted lines. Temporary cat's eyes with just a reflective strip are often used during motorway repair work. These are typically day glow green/yellow so they are easily visible in daylight as well as in darkness, they can then be used on their own for lane division. Also seen during motorway repair work are plastic traffic pillars that are inserted into the socket of a retractable cat's eye rather than being free-standing. These are often used in conjunction with two rows of the temporary cat's eyes to divide traffic moving in opposite directions during motorway roadworks. Solar-powered cat's eyes known as solar road studs and showing a red or amber LED to traffic, have been introduced on roads regarded as particularly dangerous at locations throughout the world. However, shortly after one such installation in Essex in the autumn of 2006 the BBC reported that the devices, which flash at an almost imperceptibly fast rate of 100 times a second, could possibly set off epileptic fits and the Highways Agency had suspended the programme. The suspension appeared to have been lifted by 2015, when LED cat's eyes began to be installed along newly re-paved sections of the A1 and A1(M) in County Durham and Tyne and Wear. In Ireland yellow cat's eyes are used on all hard shoulders, including motorways (red cat's eyes are not used, neither are blue). In addition, standalone reflector batons are often used on the verge of Irish roads. Green cat's eyes are used to alert motorists to upcoming junctions. There are limited installations of actively powered cats eyes, which flash white light, on particularly dangerous sections of road such as the single carriageway sections of the N11. Road traffic safety refers to the methods and measures used to prevent road users from being killed or seriously injured. Typical road users include: pedestrians, cyclists, motorists, vehicle passengers, horse-riders and passengers of on-road public transport. A shoulder, or hard shoulder is an emergency stopping lane by the verge of a road or motorway, on the right in countries which drive on the right, or on the left side in India, Japan, the UK, Australia, and other left-side driving countries. Many wider US and Swedish freeways have shoulders on both sides of each directional carriageway, in the median as well as at the outer edges of the road, for additional safety. Shoulders are not intended for use by through traffic, although there are exceptions. Traffic cones, also called pylons, witches' hats, road cones, highway cones, safety cones, channelizing devices, or construction cones, are usually cone-shaped markers that are placed on roads or footpaths to temporarily redirect traffic in a safe manner. They are often used to create separation or merge lanes during road construction projects or automobile accidents, although heavier, more permanent markers or signs are used if the diversion is to stay in place for a long period of time. Road surface marking is any kind of device or material that is used on a road surface in order to convey official information; they are commonly placed with road marking machines. They can also be applied in other facilities used by vehicles to mark parking spaces or designate areas for other uses. Botts' dots are round non-reflective raised pavement markers. Botts' dots may also be called turtles or buttons. In many parts of the US and other countries, Botts' dots are used, along with reflective raised pavement markers, to mark lanes on highways and arterial roads. They provide tactile and auditory feedback to drivers when moving across designated travel lanes, and are analogous to rumble strips. Road signs in Sweden are regulated in Vägmärkesförordningen, VMF (2007:90), and are to be placed 2 metres from the road with the sign 1.6m from the base for motorized roads. Except for route numbers, there are a maximum of three signs on a pole, with the most important sign at the top. All signs have a reflective layer added on selected parts of the sign as is custom in European countries; most larger signs also have their own illumination. A single carriageway or undivided highway is a road with one, two or more lanes arranged within a single carriageway with no central reservation to separate opposing flows of traffic. Battenburg markings or Battenberg markings are a pattern of high-visibility markings used primarily on the sides of emergency service vehicles in several European countries as well as in New Zealand, Australia, Hong Kong, and Trinidad and Tobago. The name comes from its similarity in appearance to the cross-section of a Battenberg cake. The road signs in Poland follow the Vienna Convention on Road Signs and Signals and, therefore, are more or less identical to those in other European countries. Warning signs have yellow background rather than the more common black-on-white design, and therefore similar to the Road signs in Greece. Reflecting Roadstuds is the main company in the UK that manufactures cat's eyes for use on roads. Road traffic control devices are markers, signs and signal devices used to inform, guide and control traffic, including pedestrians, motor vehicle drivers and bicyclists. These devices are usually placed adjacent, over or along the highways, roads, traffic facilities and other public areas that require traffic control. Road signs in Indonesia are standardised road signs similar to those used in other nations but with certain distinctions. As a former Dutch colony, until the 1970s road signs in Indonesia closely followed The Netherlands rules on road signs. Nowadays Indonesian road sign design are a mix of both European, The American MUTCD, New Zealand, and Japanese road sign features. According to the 2014 Minister of Transportation's Regulation No. 13 concerning Traffic Signs, the official typeface for road signs in Indonesia is Clearview. Indonesia formerly used FHWA Series fonts as the designated typeface though the rules are not being implemented properly. Terminology related to road transport—the transport of passengers or goods on paved routes between places—is diverse, with variation between dialects of English. There may also be regional differences within a single country, and some terms differ based on the side of the road traffic drives on. This glossary is an alphabetical listing of road transport terms. Yellow lines are road markings used in various territories. 1 2 "The day Percy saw the light!". Halifax Today. Archived from the original on 12 March 2004. Retrieved 24 April 2013. ↑ "History". Reflecting Roadstuds Ltd. Archived from the original on 19 February 2009. Retrieved 24 April 2013. ↑ Reyburn, Ross (26 June 1999). "The Birmingham Post": 50. ↑ "Long list unveiled for national vote on public's favourite example of Great British Design". BBC. 18 November 2016. ↑ "Concorde voted the UK's top icon". BBC. 18 November 2016. ↑ "Case studies". Astucia Traffic Safety Systems. Retrieved 13 October 2009. ↑ "Cats eyes to improve safety on A65, North Yorkshire". Government News Network. 6 November 2006. Archived from the original on 30 September 2007. Retrieved 15 March 2008. ↑ "New cat's eye 'could trigger fit'". BBC News . BBC. 2 January 2007. Retrieved 15 March 2008. ↑ Osborne, Alistair (1 April 2002). "Intelligent cat's eye gleams at bright market prospects ahead". The Daily Telegraph . Archived from the original on 11 September 2009. Retrieved 24 April 2013. 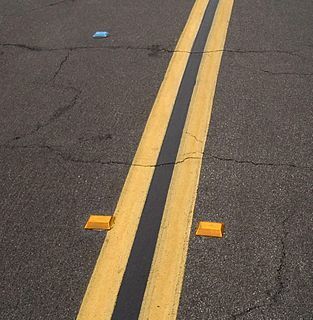 ↑ "Pavement Markers" (PDF). Virginia Department of Transportation. Archived from the original (PDF) on 8 April 2008. Retrieved 15 March 2008. ↑ "Marking the edge of the road with markers and cat’s eyes", New Zealand Driving Test Resources. Retrieved 17 August 2017. ↑ "Kemistry". Fuller Up, the Dead Musician Directory. Retrieved 2 December 2008. ↑ "Cat's eye killed DJ". News of the World . 2 May 1999. p. 15. David Lydford, of Hampshire Police, said: Cat's eyes sometimes work loose, but I have never come across an accident like this in my 28 years with the police. ↑ "Parliamentary Business - Cat's Eyes safety inspections". Parliamentary Debates (Hansard) . House of Lords. 13 December 1999. col. WA20.